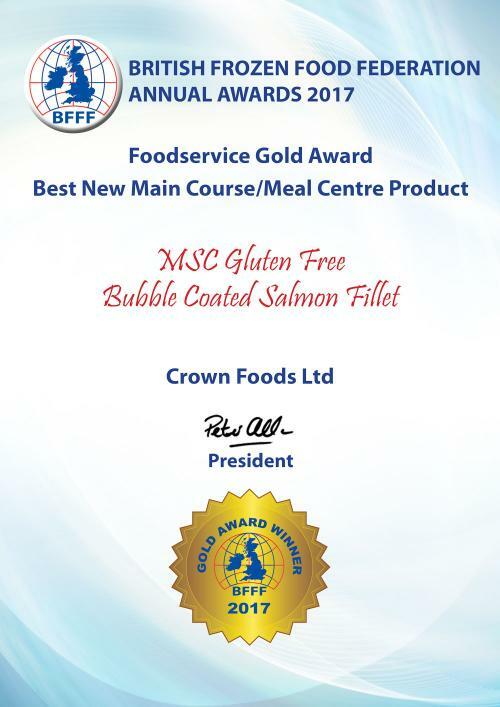 Crown Foods are delighted to announce that we have won a BFFF Gold Award for the category of Best New Main Course/Meal Centre Product with our MSC Gluten Free Bubble Coated Salmon Fillets. 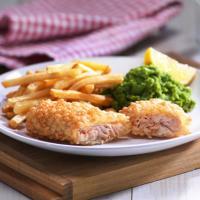 They are coated in a unique, crispy & crunchy Gluten Free coating, and are perfect for intolerances or can also be served as an inclusive meal for everyone. The bubbly texture as well as being delicious, adds real visual interest and appeal.